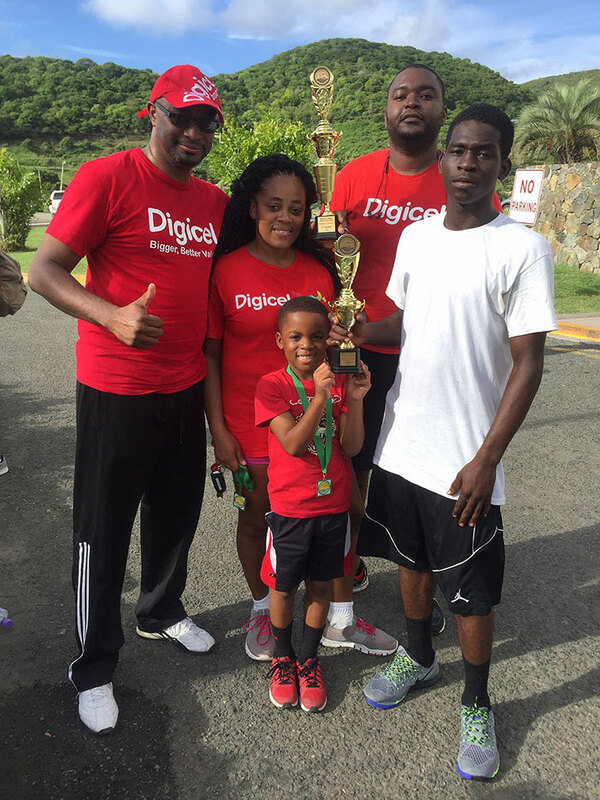 When Kevin Gordon ran in the final race of the 21st Mourant Ozannes College Classic Series over the weekend, it was a major accomplishment. That run came 13 years after Doctors told him he’d have arthritis within five years and recommended amputation after severing his left ankle in a serious car accident. For Gordon who also had a compressed lung, spent three months in hospital, nine months on crutches and had three reconstructive surgeries, it was a double victory, not just overcoming the odds, but also helping Digicel to win the Community Partners Cross Country segment of the annual 2 Mile series. Gordon said he walked up to two miles after the mishap which was ok, then his leg started hurting, but it was imperative that he did not run. Gordon said he was inspired during the last race after seeing someone in his 70s and clearly injured hopping through from start to finish. He said that was a trigger for him. Gordon recalled that he started out running and decided the crowd wasn’t leaving him behind and ran from the start to the gate leaving the College. He walked when the pain got severe and ran once the pressure subsided.